You guys saved Daryl’s Job!! We had some fun with our super-shipper Daryl when he came back from his Summer with his Family in Flannelville, Saskatchewan after he made some “funky white” BladeTape. Yes, we kind of threatened his job but we never really were going to follow-up on it—-we’d be screwed without our Daryl. 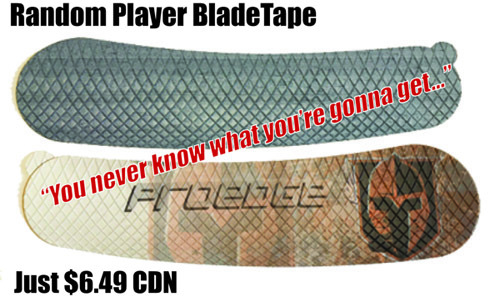 Still, our BladeTape Buds responded and we sold a bunch of Daryl’s Special Tape—-in fact, we only have 21 sets left in stock! Daryl is very touched by the love and support you all showed for him, and has promised to “do things by the book” from now on. 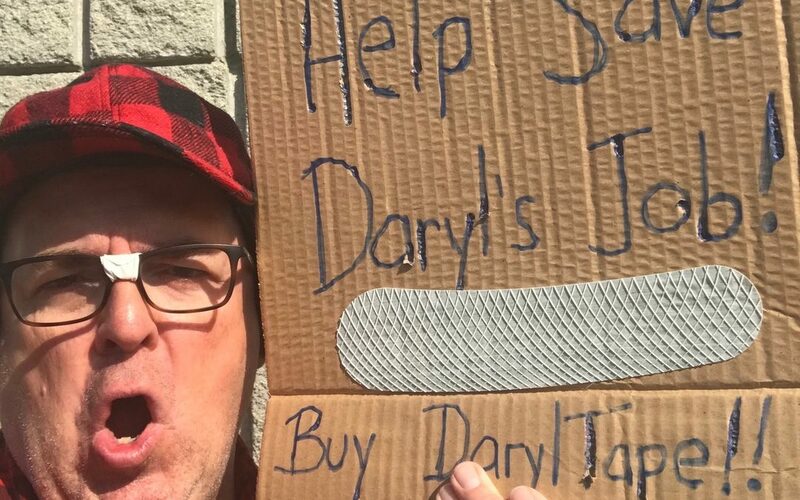 Why don’t we believe him?……..
DarylTape: Almost Sold Out, #SaveDaryl – and save some dough! Daryl’s unique contribution to the product line is available while supplies last. And don’t worry; Daryl’s job isn’t really on the line.